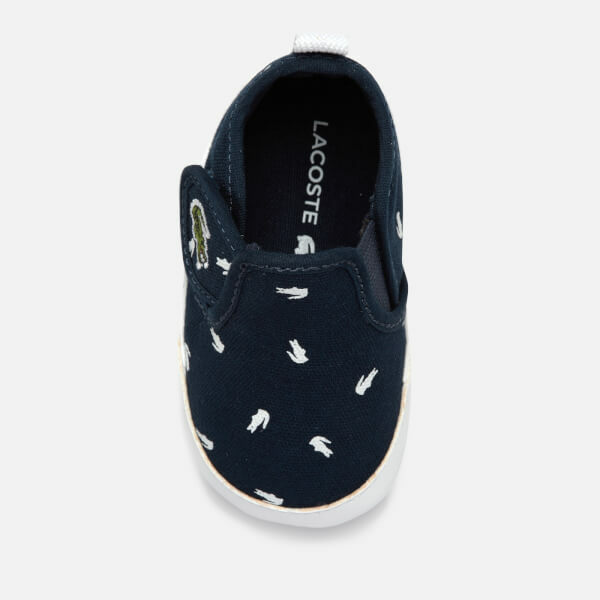 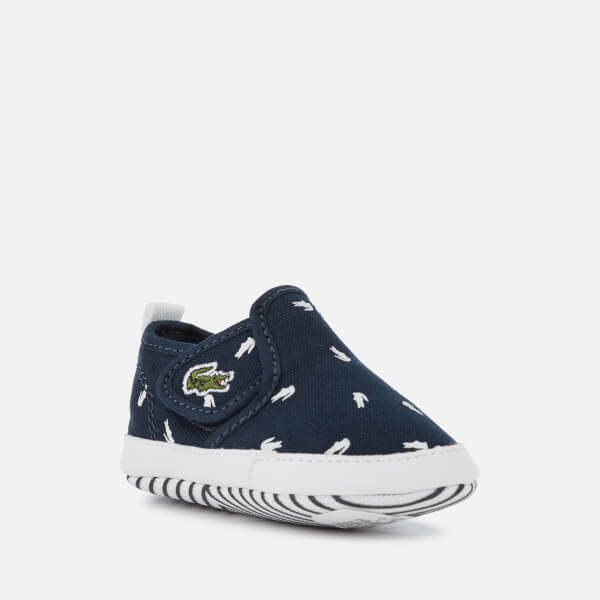 Babies’ ‘Gazon Crib 116 2’ pumps from Lacoste. 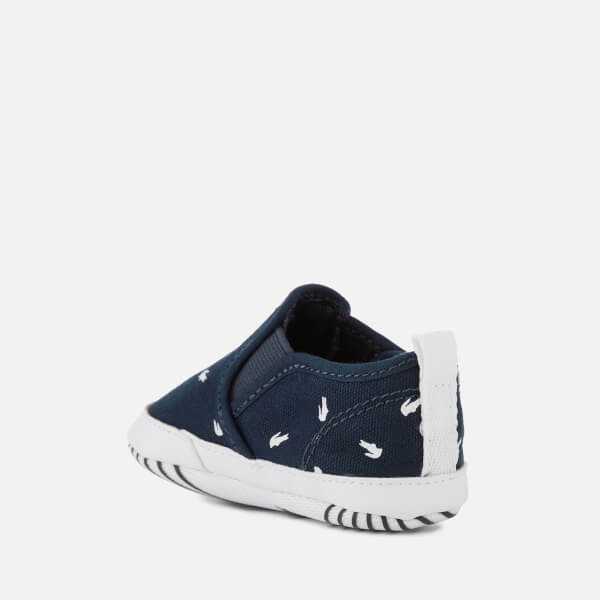 Constructed from lightweight cotton canvas uppers, the baby shoes feature an elasticised strap with tonal side gussets and an adjustable hook and loop fastening for a secure, comfortable fit and easy on-off wear. 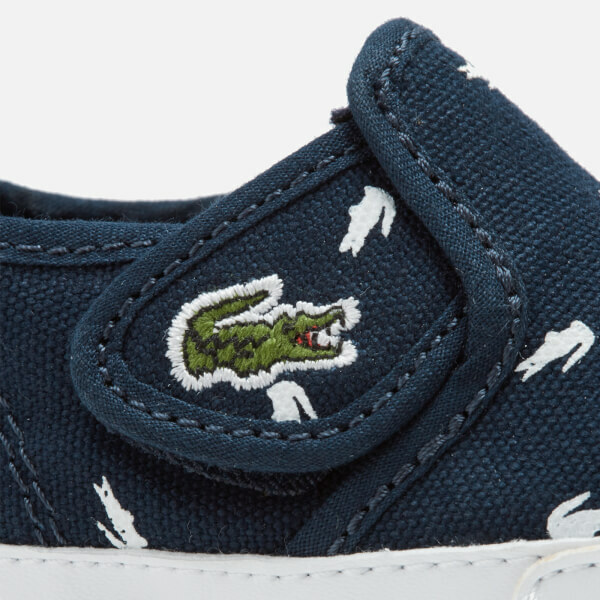 Adorned with an all-over crocodile motif and the label’s signature embroidered logo. 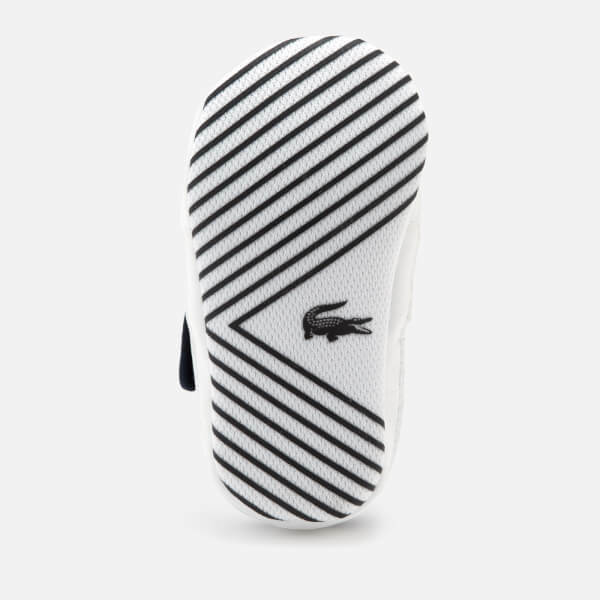 Set upon a soft sole with non-slip grip overlay, the trainers are finished with a heel pull tab.